There is a great demand for Certified Nurse Aides in Oklahoma as the population ages and the variety of facilities offering healthcare services continues to expand. The CNA provides essential basic services to patients and long term care residents, contributing to their comfort, safety and quality of life. There are six types of CNAs, and the certification earned determines acceptable places of employment and allowed duties in Oklahoma. Oklahoma has an unusual CNA certification process compared to most states. Oklahoma State Department of Health established rules for the training and certification for a nurse aide (Title 310, Chapter 677). There are six different types of CNAs or Certified Nursing Assistants, and the certification determines where the person can work and the type of category certification listed in the Oklahoma Nurse Aide Registry (aka Registry). Following are the steps to becoming a CNA in Oklahoma. The Long Term Care Aide in Oklahoma is the closest to the CNA designation in other states. “Deeming” is a term the state uses to indicate the addition of one or more certifications. Hiring someone with any of these titles or certifications requires the employer to check the Oklahoma Nurse Aide Registry and to verify there are no findings the person has been found guilty of neglecting or abusing people under their care or of misappropriating patient or resident property. There are exceptions to Oklahoma CNA training requirements for certain people like nursing students. People who get approved for an exception via the filing of the Training Exception Application can either be placed directly in the Registry or only sit for the CNA competency exam without completing an Oklahoma training program. It depends on the status of the person applying for the waiver. If an applicant doesn’t qualify for any of the other paths, the person must complete training and pass the competency exam. This is the most common path to CNA certification. As previously described, there are different training requirements for different types of CNAs. If an applicant is a graduate of an approved RN or LPN program in the United States, Nurse Aide training and competency testing in Oklahoma may be waived by submitting proof of program completion. If an applicant is a graduate of an approved non-USA RN or LPN program, training may be waived by submitting a completed Foreign Graduate Training Exception Application and meeting documentation requirements. However, the person will need to sit for the Oklahoma CNA competency exam. If a person has not completed an approved Oklahoma Nurse Aide training program for one of the six certifications but requests to have her or his name added to the Registry as a Certified Nurse Aide, the person must submit the appropriate Deeming Application, Home Health Aide Reciprocity Application, Training Exception Application, Foreign Graduate Training Exception Application or Nurse Aide Training and Competency Evaluation Program Waiver Application. If a person has completed an Oklahoma state approved Nurse Aide Training and Competency Evaluation Program but cannot meet requirements for certification renewal, the person must retake the competency exam. An Out of state Certified Nurse Aide can become an Oklahoma CNA by submitting a Reciprocity Application to the Oklahoma Department of Health and meeting all requirements. The applicant must be lawfully present in the US, have previously earned valid certification in another state and not have any documented abuse or neglect findings on record. For those who need to complete a training program, it is necessary to find the one that best fits personal needs. There are hundreds of facilities offering training programs, but some offer training for specific types of CNAs, like the Long Term Care Aide, the Residential Care Aide, etc. Others offer combination training like Home Health and Long Term Care Aide. There are also programs offering Certified Medication Aide training, continuing education for medication aides and Certified Medication Training with medication advanced training. There are 321 CNA classes in Oklahoma offered at various types of institutions that include technology centers, academies, nursing centers, career centers, high schools, nursing homes and other types of educational facilities (updated in March 2018). State approved Certified Nurse Aide programs in Oklahoma are listed in the following table. Each educational facility will have prerequisites. They include things like passing a fingerprint criminal background check, showing proof of immunizations, showing proof of having a high school diploma or GED, being 18 years of age and passing a reading comprehension test, to name a few. Program prerequisites are similar, but costs and program lengths can vary significantly from school to school. For example, OSU offers an eight-week Certified Nurse Aide Training Program, and students earn five credits. The costs include $630 for tuition plus another $274 for scrubs, books, health checks and examination fees. The CNA Training Academy offers day and night Certified Nursing Assistant classes. The class takes 96 hours to complete, consisting of 72 classroom instruction hours and 24 clinical training hours. The CNA training takes three-weeks with an additional two days of training for Home Health Aide training. The CNA Training Academy does not post rates online, but the website does say there may be financial aid available. It is always wise to inquire about financial assistance because it could lead to free training. The training program consists of a mix of classroom, lab and clinical training. The State of Oklahoma requires each type of CNA curriculum to cover certain topics. For example, there are 26 sets of skills the student will learn during the Long Term Care Aide training program. They are the typical duties of a Certified Nurse Aide, such as taking and recording vital signs, promoting a resident’s independence, infection control, communicating with residents, transferring residents, positioning, bathing and feeding, personal care and much more. If a student decides to complete Home Health Aide training at the same time, or any other type of CNA training, there are additional training hours added to the Long Term Care Aide training. For example, the Home Health Aide curriculum adds training on resident rights, caring for a resident who is dying, caring for the cognitively impaired, avoiding the use of restraints and working as a member of a healthcare team member. An active CNA can add new certifications at any time by completing the required training. For example, a currently certified nurse aide wants to add a Developmentally Disabled Direct Care Aide certification. The CNA will complete the 16 hours of training as an orientation at the facility of employment on topics relevant to people who are developmentally disabled. The supervisor then notifies the state the applicant has met training requirements, and the new certification is added to the Nurse Aide Registry. Of course, someone who is not currently a CNA is required to complete the full 75 hours of an approved Developmentally Disabled Direct Aide program. D&S Diversified Technologies – Headmaster is the Oklahoma Department of Health’s designated provider for the Long Term Care Aide and the Long Term Care-Home Health Aid examinations. The other examinations are administered by the programs. Each of the six types of CNA certifications have various examination requirements. The examinations are relevant to the type of certification sought, of course. The Long Term Care Aide exam, considered the CNA exam, has two parts. One is the Written Test with 72 questions pulled from information taught in the training program. The Skill Test is comprised of five tasks. One task is hand washing, while the other four are randomly selected from skills learned during training. Headmaster offers a free 10-question online practice test, a vocabulary list and a practice test that can be purchased. Headmaster also administers the LTC-HHA Deeming examination. In this case, the applicant will take the Knowledge Exam and the Skill Exam. The Skill Exam will include five skills. Two skills are handwashing with blood pressure, and transferring a client from bed to wheelchair and wheelchair to bed while monitoring vital signs. To pass the written exam, the applicant must get a score of at least 70 percent. To pass the skills examination requires 80 percent accuracy in skills completion. The applicant can retake the examination three times before retraining is required. Whatever entity administers the examination will notify the Oklahoma Nurse Aide Registry of the results. 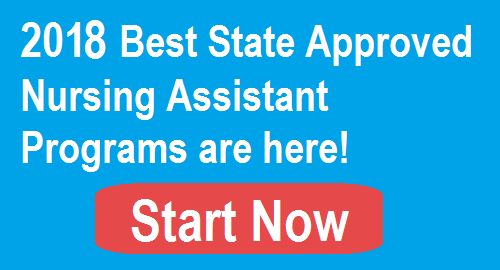 CNA certification in Oklahoma requires the training program supervisor or Headmaster, depending on the type of CNA certification, to provide the Oklahoma Department of Health verification the applicant has passed the required examination. Per Title 310: 677-5-2, a certification is good for 24 months with the exception of the Certified Medication Aide. To renew CNA certification it is necessary to show proof of having worked at least eight hours for compensation within two years prior to certification expiration and the work must be related to the type of certification. If the Medication Aide certification has been expired for more than 12 months, it is necessary to retest. If the applicant fails the retest, or the certification has been expired for more than three years, it is necessary to retrain and retest. If the person retesting fails the exam, she or he will have to complete another training program. If the person has had an expired certification for 48 months or less and did not work at least eight paid hours of nursing or health related services, the person can choose to complete the nurse aide training program and take the competency evaluation examination again OR just retake the exam. If the applicant can prove eight hours of paid employment as a nurse aide within the 24 months after certification expiration, the applicant can renew certification for up to 48 months after the date of the last renewal. If unable to meet these requirements, it is necessary for the applicant to retrain and retest in Oklahoma. Please update your list of CNA/CMA training facilities available in the State of Oklahoma. You will find a current list on the OK Nurse Aide Registry website. Hello Terre, thank you for visiting our website. The CNA/CMA school list is updated.